Phase 1 Environmental Site Assessment Training prepares you to conduct a Phase 1 ESA in accordance with Canadian Standards Association (CSA Z768-01). Train to perform an environmental site assessment (ESA). This study of a property determines if contaminants are present and, if so, the location and concentration of these contaminants. In addition, an ESA includes the completion of a report documenting the study results. Learn how to conduct or supervise environmental site assessments for the purpose of submitting and filing a record of site condition. Upon completion of this training, you will receive a wallet-size Ticket/Certificate that will show prospective employers that you have the right credentials. We keep your records on file permanently. Feel free to have your prospective employer contact METI to confirm your Phase 1 Environmental Site Assessment Certificate. Back to our Safety Training. 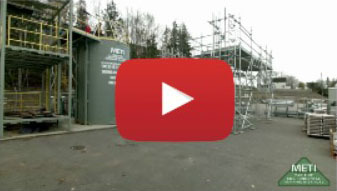 Take A Video Tour of METI. Or Stop by our Sydney Campus at 301 Alexandra Street, Sydney.